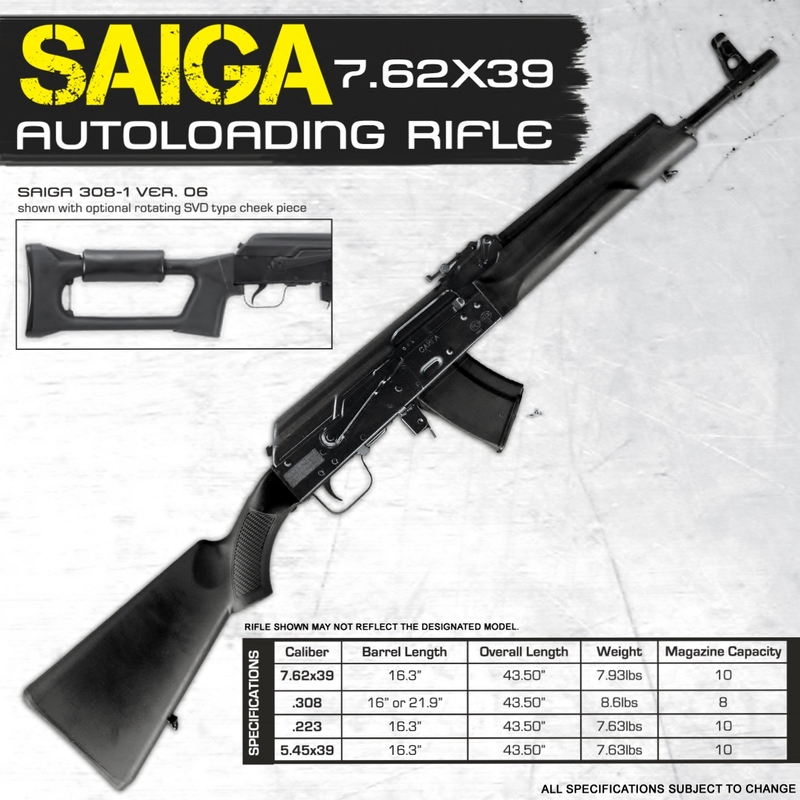 Stock Saiga Kalashnikov-style rifle is imported excursively by RWC out of Philadelphia, PA. They plan on selling modified versions of this rifle for 2014. Stay tuned to On Target for info. Editor’s note: You don’t have to read the Wall Street Journal to know that prices on your favorite Black Rifles have dropped like a lead balloon. With Christmas here that gun you’ve been thinking about buying is (by now) more affordable. It’s not just the AR 15 platform where bargains can be had. Many AKs have also seen price reductions. We began by asking Chase Sisgold, co-founder of Definitive Arms in St. Petersburg, FL what a prospective AK buyer might consider for a first purchase. Chase knows a thing or two about the AK platform. He builds custom AKs and has experienced phenomenal success over the past few years with his (patent pending) Definitive Arms Kalashnikov System. His system allows your stock 223 / 5.56 AK variant to accept commonly found AR magazines and, has a Last Round Bolt Hold Open (LRBHO). This conversion process has received kudos from the cognoscenti. In particular, Chase’s conversion was tested by Tim Harmsen of the popular Military Arms Channel. In addition to hearing great things about Chase from a close friend who has done business with him, I also found similar laudatory comments about him in a blog from AK Operators Union. Suffice it to say, Definitive Arms is as busy as ever. If you’re at all considering a purchase of an AK, I suggest you read our interview with Chase before you buy. This is the first of a two part series. Q: Before we get started tell us a little bit about Definitive Arms? A: Definitive Arms is a family business that was started by my father and I. We started the company with the intent to produce top quality personal defense weaponry and bring about designs for those who want to be prepared for anything. Q: There are a number of different AK 47 style rifles out there. What advice do you have to tell a first time buyer interested in a new or used AK in terms of brand or country of origin? A: I would advise a first time buyer to consider what they are purchasing the firearm for. There is a very large variety of options when it comes to AKs. Purpose, caliber, and price point are going to be the biggest factors. Is this rifle for personal defense? Competition? Ranch duty? Collector value? Home protection for the family? These are things to consider. For a first time buyer though, I would generally recommend your run of the mill AK in 7.62x39mm. These are common, inexpensive, magazines and ammunition are widely available, and most importantly it is extremely easy to operate and maintain. Not to mention they are reliable. Q: Is there a particular manufacturer or manufacturers that you think have the best quality? What brands do you use for your conversions for Definitive Arms? A: I find that the Russians still produce the best quality components to build an AK from. Both for Definitive Arms and for personal use, I prefer to start from a Saiga or VEPR series rifle. I can not stress enough that the Russians produce tough components. A lot of guys will boast that they actually build their own from a flat and a parts kit in their garage. Building AKs from the ground up is fun. However, if you do not know what you are doing and your intent is to get the best fighting rifle you can, I would recommend getting a Russian action to start from. We encounter more issues from parts kit guns and home built AKs then any other AK. Just aligning the parts and riveting them together is not enough. There are areas that need heat treatment and tempering. Not to mention a number of areas that require special care and attention to detail. These things should not be taken lightly. The Russians have been building quality AKs for a long time and they are an inexpensive core to start from. Q: In Hawaii we’re limited to the range and self-defense. There is some hunting of pigs on our island too. Is there a particular style or caliber of AK that would best fit these parameters? A: For hunting pigs, I’d say you really can’t go wrong with whatever AK suites you best. All of the common calibers offered for AKs would most likely get the job done. However, if I were hunting big hogs, I would prefer the hard hitting 7.62x39mm cartridge. Many people would probably argue that point and say that the 5.45 or 5.56 AKs may be more suitable, but I find something comforting about a .30cal projectile flying out the muzzle when I am facing violent animals. A: Simple. Not all AKs are created equal. Supply and demand also plays a large role in the price of AKs. I often times make the comparison to 1911s. Some guys will spend $1,000 , $2,000, even $4,000 on a premium 1911 but gawk at the idea of paying over $1,000 for a quality AK. There are plenty of AKs (and 1911s) that will run in the $500-$600 range. However, if you want a premium AK (or 1911) built by a skilled smith using quality components, you had better be prepared to pay for it. In my opinion, the best fighting/defensive rifles are built from AKs by skilled guys who really know what they are doing. Most of the time, you get what you pay for. Q: I’ve heard good things about VEPRs. How do you rate them? A: VEPR series rifles are of Russian origin, produced at the MOLOT factory. They are well built and very tough. 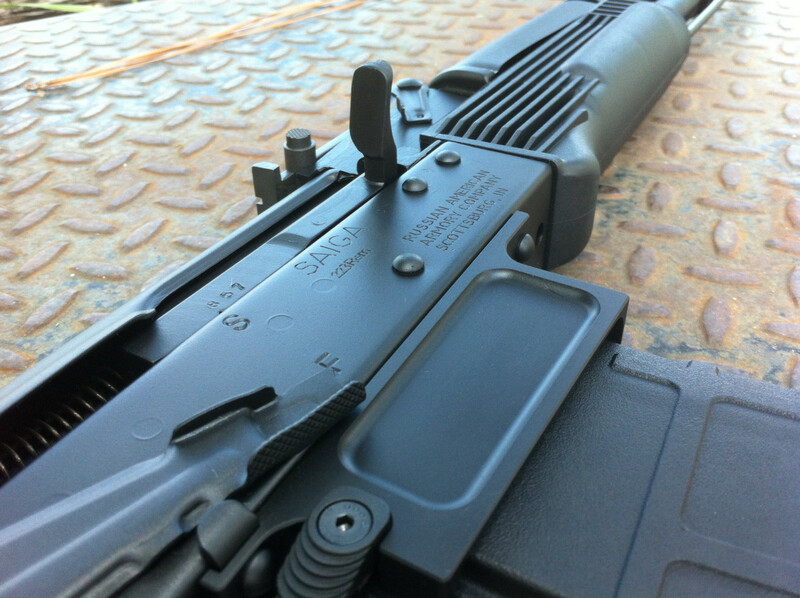 VEPR rifles, like the Saigas, are preferred when putting together a nice AK. Q: What caliber should one choose given that AKs are available in 7.62×39, 5.45×39, 5.56×45, .308, and 7.62x54R.? What are the pros and cons? A: Here is a quick break down on calibers for the AK from an American shooters perspective. 7.62x39mm – Pretty common, affordable, great track record, very hard hitting, mild recoil, magazines are all over the place and usually inexpensive to buy. Also performs very well out of short barrels and makes a great PDW cartridge. 5.45x39mm– Fairly common, affordable, very flat trajectory, light recoil, magazines have gotten expensive, but a very deadly cartridge that shoots well in the AK platform. It has great penetration and amazing results when hitting flesh. most commonly available cartridge to acquire via bartering, considering its standardized use with Military and Law Enforcement agencies across the country. .308/7.62x51mm– Very common, accurate, can easily be used to hunt medium and large game, also has a great track record as a battle rifle cartridge, deadly at longer distances, a little pricy but not terrible when buying surplus ammunition. Depending on your AK model the magazines may be hard to come buy and/or expensive. 7.62x54r- Fairly common in the surplus variety and a number of current production factory loadings are available. This cartridge is the oldest military cartridge still in service today. It can be purchased at very fair prices considering the cost of other calibers in terms of size and power. It is powerful and very deadly. Magazines may be more difficult to find, but stock piling the 54r in volume should not be. Depending on the load (surplus ammo vs. current production factory ammo vs. hand loads) the accuracy will vary greatly out of an AK chambered in this cartridge. For more background information on the history of the AK, this video on the 60th Anniversary of the AK 47 by NY Times reporter CJ Chivers (and author of The Gun) is worth seeing. FWIW in the video, Mr. Kalashnikov (unsurprisingly) agrees with Chase’s assertion that the Russian made AKs are of better quality and sturdier than the knockoffs made elsewhere. Stay tuned to Part 2 of our interview with Chase Sisgold which we will run in a few days. Aloha Rob! 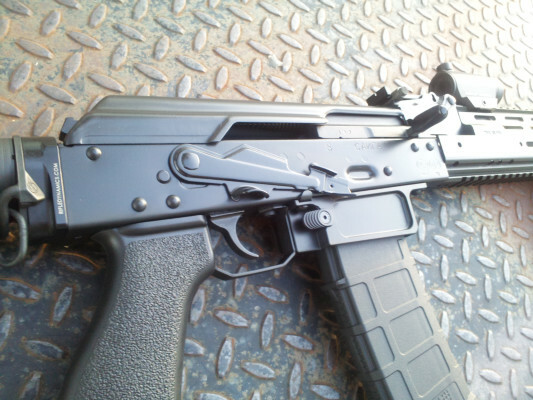 Bad memories with Norinco and other Chinese AKs and SKS back in the day…but they were cool looking then as now. The Galil, Valmet and Korean variants more desirable in my youth, but beaucoup bucks! I am guessing the present day imports are better? M. Kalishnikov claim to fame still stands: Cheaper, Simple, Reliable Large caliber weapon. Still has peculiar safety lever, proletariat trigger, and endearing "chak-chak" report. Ah yes, cheap Russkie steel case ammo speaks for itself, if one can make allowances for the occasional inconsistencies in their manufacture. Besides why bother reloading with the limited ballistic performance of the standard caliber…cheap to feed comrades! I for one, always prefer a larger caliber for "social" purposes, so the 7.62×39 is more practical than say the .30 Blackout insofar as cost, availability, and dare I say it, reliability is concerned? I can't say AKs are good investments, pending embargo notwithstanding, as compared to Garands, M1As etc. Thanks again for the great reports and insightful writing! Aloha, g. h.